Our new road bike has finally landed and we think the new Merlin Performance Road PR7 is one of the best entry level road bikes money can buy. So let’s have a look at what exactly has got us all excited down at Merlin HQ. This bike has been designed in the UK by our very own in house team and you can tell they spent lots of time on it. At first glance you’d be forgiven for thinking that this is a bike costing twice the price. The forming of the top tube is a detail usually reserved for bikes at the higher end of the price bracket and the paint and graphics finish really don’t give any clues to the low price of this bike. You’ll be surprised to know that this lovely little machine comes with a carbon fork. A lot of people buy budget bikes and quickly replace the fork as this saves weight and the carbon absorbs the bumps better. Well replace no more! This bike comes standard with the carbon fork and it blends in nicely to the rest of the bike in the matt black finish. The PR7 (which if you haven’t guessed is named after our postcode) comes with a complete Shimano Claris group which functions in the same way as many of the higher end groups. Mavic wheels finish the bike off nicely and it even comes with toe clip pedals which means you don’t necessarily have to shell out extra on pedals. As the winter months start to get nearer we think this is an excellent addition to your bike shed for mashing up the wet and windy roads. Equally this is a great commute bike and would also make a good first bike for your first venture into the world of road cycling. Check out the full spec sheet below for further details, we think this is our favourite bike right now! Tagged merlin pr7. Bookmark the permalink. Great looking bike, I’m interested in this as a commuter. Does it have mudguard and rack mounts? The PR7 frame rack mounts but the fork doesn’t have mudguard eyelets. Hmmm, how would you suggest attaching a front guard? Modern clip-on style guards are an option. There’s the SKS RaceBlades or the Crud Road Racer MK2 guards. Colin – No immediate plans no. Sorry! Carl – You’re right on the cusp of sizes (as you probably already know) so you’re best bet is to speak to one of customer service people – sales@merlincycles.com or call 01772 432 431. David – 10.4kg including pedals and everything. Is the bike cheaper if I do not require pedals with it? Bought one of these last week for winter training .Looks fantastic and rides even better. 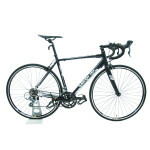 .Best value bike out there without doubt !. I’m a professional road biker from Italy. 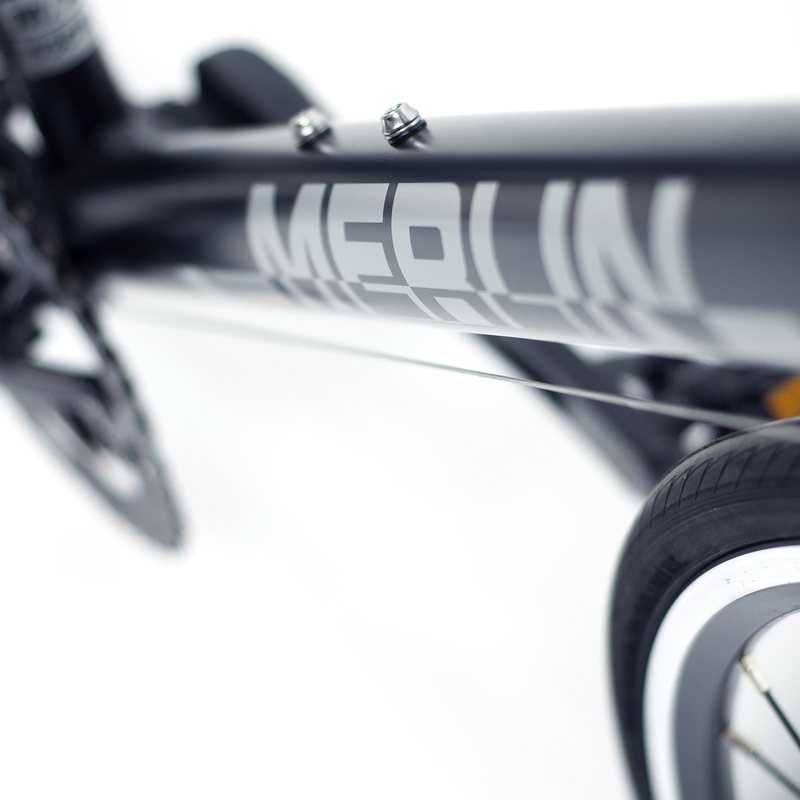 I just read it out here about “Merlin Performance PR7 Road Bike”. I like all of its feature. I just want to know is it available to buy from Italy. I’ll pleased if you confirm me. Unfortunately we currently don’t send bikes internationally due to courier problems. We are hoping to rectify our international postage for bikes as quick as we can. Please keep an eye on the Merlin Cycles websites and Facebook etc for an announcement. Thanks, Benji @ Merlin Cycles. Looking to purchase the PR7 asap. will call to discuss frame size soon. The PR7 has been a really successful seller so we’re now down to our final few! So don’t leave it too long. The next batch won’t be in for quite some time (2015). 56cm frame with a 53cm top tube even….Should it be 56cm frame with a 56-57cm top tube? It looks like the top tube measurements are actual rather than virtual/effective. Our error. Will update description page now. Thanks for spotting it! In answer to your question, the 56cm PR7 has a 55.5cm effective top tube. We’ve just been down to the showroom to measure all the models. So they are on the shortish side (as it often the case with starter/entry level bikes). The 59cm has a 56.5cm effective top tube by the way in case you were contemplating go up a size from your usual. Thanks Benji, That makes sense! Size up from usual for me then. i am 5′ 7″. Is the 53cm frame the correct size for me? If so when will they be available? A 53cm would be okay. Unfortunately we’re now out of PR7s until the New Year. Sorry! Is the PR7 going to be on sale again soon? Hi Dwayne. Thanks for your inquiry. 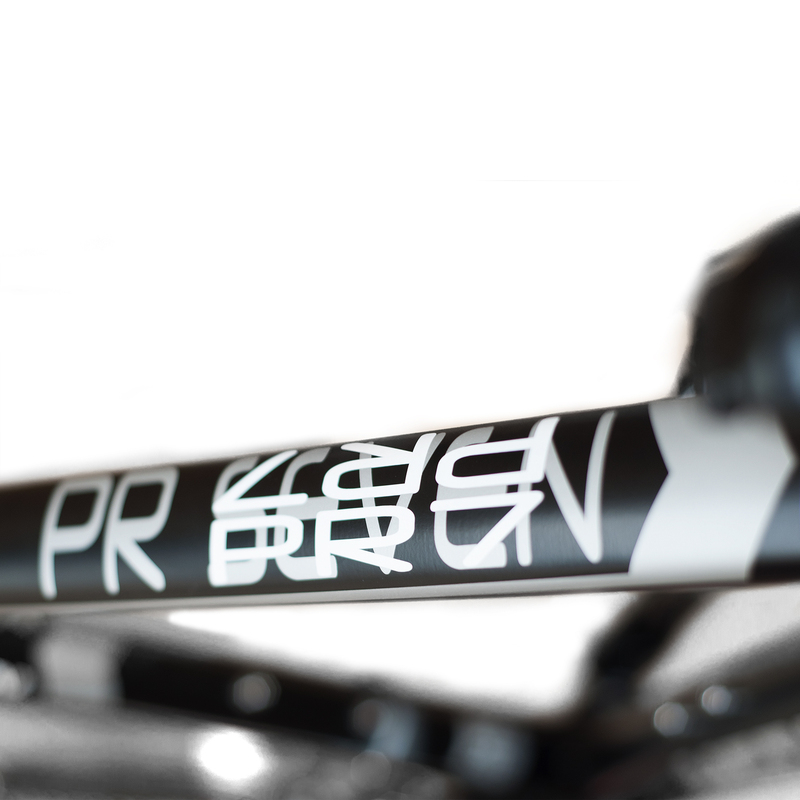 The new PR7 should be here in March – sorry! At 6′ 3″ we would recommend the 60cm model. Why is this £50 dearer. Than the previous release? 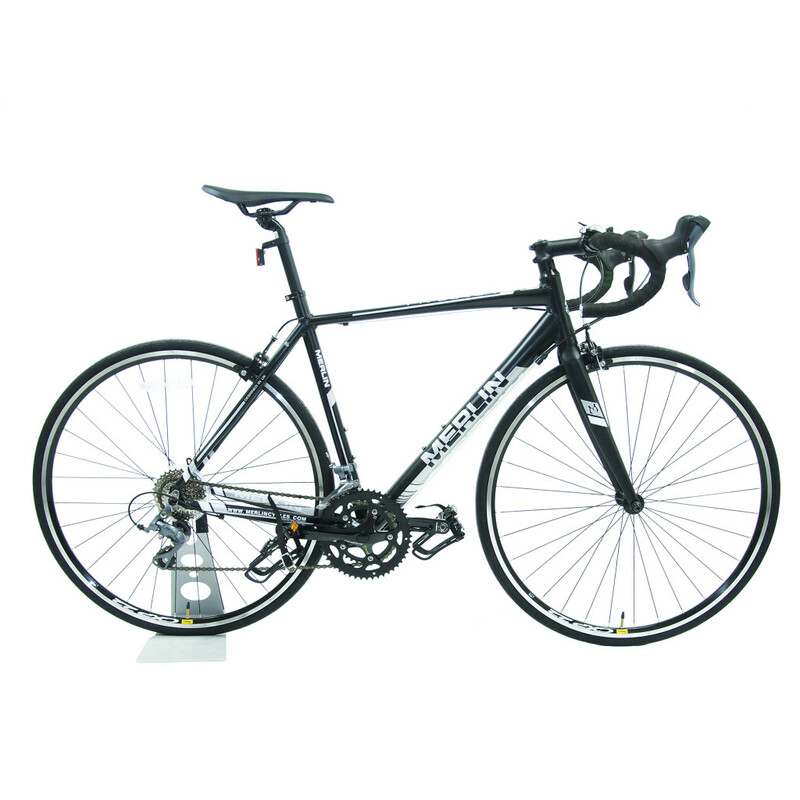 Also would you recommend for a first road bike for a 100 mile charity cycle? The price change is due to a combination of manufacturing costs, exchange rate changes and componentry change (new gearing range with an ‘easier’ top end). It’s a bit of a shame but an unavoidable one. The PR7, with its new gearing ratio, makes for an even better starter bike than ever before though, which is nice.